Tantalizing snip-it of Seaseon 4. Will celebrate making it through another ‘Droughtlander’ soon. Time for STARZ to start running the series from Seasons 1-3!!! Hope our “Murtagh” & young Willie & his Irish bride and her family pop -up on Fraser’s Ridge…if we are going to take some new twists from DG’s stories. 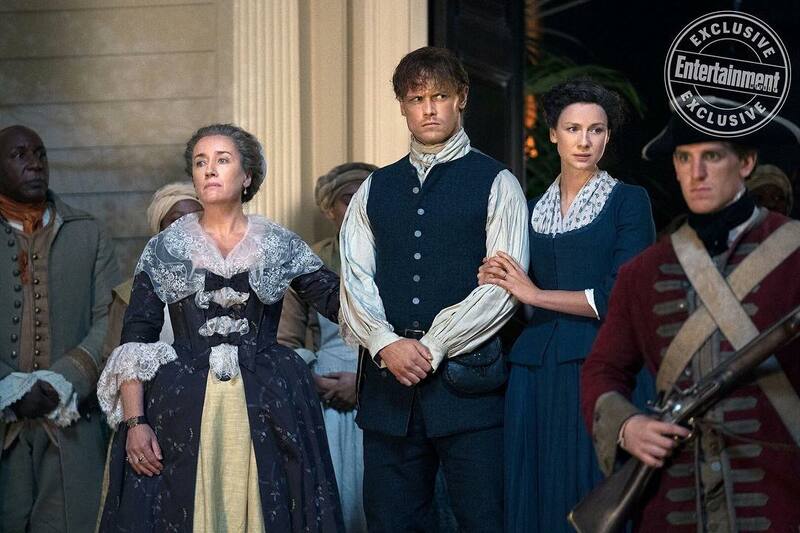 Jamie and Claire don’t look too pleased with what they see at River Run! Should make things rather tense – and dangerous!